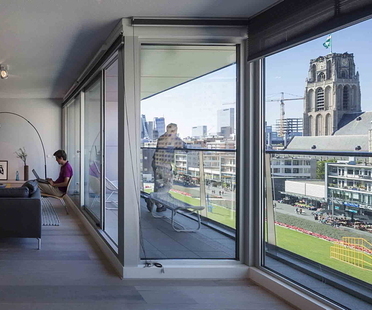 The MVRDV architectural practice moved to its new headquarters, designed by its architects, in the centre of Rotterdam. MVRDV House was constructed in a post-war building, the Het Industriegebouw, not far from the famous Markthal, the market hall designed by MVRDV themselves. The prizes for the Next Landmark international contest organised by Floornature will also be awarded during the World Architecture Festival 2016 in Berlin. Markthal by MVRDV in the city centre of Rotterdam has been a major attraction of the Dutch city since it opened in 2014, and after seeing it “live” we can confirm the great appeal of this landmark architecture. MVRDV has transformed number 133 Wai Yip Street, Hong Kong into a completely transparent office building. The architects stripped the building down to its primary structure and left it in view, then used glass to make all the furniture and even equipment such as computers and speakers. MVRDV designed the Netherlands’ Hola Holanda pavilion for Bogotà International Book Fair (FILBO Feria Internacional Libro Bogotá 2016): a modular installation that will be reused to create libraries for neighbourhoods in Bogotà. 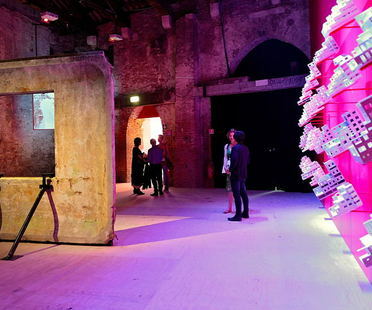 Plenty of hype for the 2016 Architecture Biennale which opens on 28 May 2016. From MVRDV’s Crystal House in Amsterdam to Kaan Architecten’s Supreme Court of The Hague, residential projects and innovative research: here is an overview of some of the most recent architectural projects built in the Netherlands recently discussed in Floornature.